(Rome, Italy) – The newly-constituted General Commission for Partnership in Mission met at the offices of the General Curia from July 2-5, 2018. Working closely with Fr. Pedro Lopez, CSsR, Chair of the General Secretariat for Evangelization, and General Consultors Fr. Sebastian Ani Dato, CSsR and Fr. Nicolai Ayouba, CSsR, the members of the commission are: Anne Walsh (Edmonton-Toronto), Chair, Sinay Tovar (Venezuela), Rafael Junquera (Madrid), Fr. 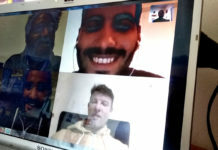 Rui Santiago, CSsR (Lisbon), Roksan Latorre (Manila) and Victor Zabre (Burkina-Niger). 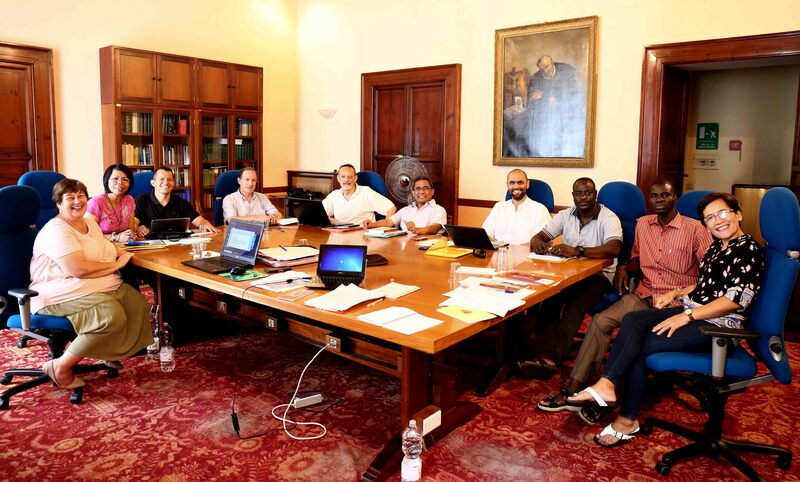 These members represent the five Conference of the Congregation, and all are members of the Working Group or Commission established in their Conference to advance the fundamental priority of Partnership in and for Mission. 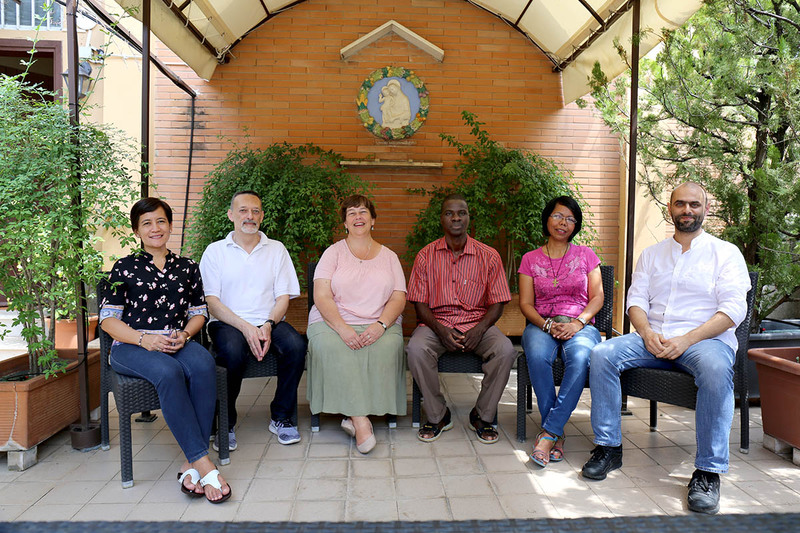 The members of the commission:( From left) Roksan Latorre (Manila), Rafael Junquera (Madrid), Anne Walsh (Edmonton-Toronto), Victor Zabre (Burkina-Niger), Sinay Tovar (Venezuela), and Fr. Rui Santiago, CSsR (Lisbon). After personal introductions and initial explorations of the forms of Partnership in Mission in each Conference, the Commission members then discussed the structures in place in each Conference to support it and move it forward. The next task was to begin the process of outlining a Directory and a Ratio Formationis. 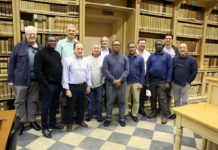 For the next three days, working in plenary and in small groups, they began the process of drafting three chapters of a Directory that will eventually serve the entire Redemptorist Family as a resource and guide for Partnership in Mission. Members were offered a tour of the library and archives by Frs Beco and Lage. Side trips to the sites of Rome were also taken. The work accomplished was monumental. From the laughter heard in the meeting rooms, in the hallways and at the table, a great sense of camaraderie and joy permeated the process.